Have you ever wondered how the most successful people get REALLY good at discovering inner strength PLUS outer beauty? As a result of you being a part of the Kobernation you may or may not have figured out by now that I am helping people change from the neck up so that they can change from the neck down. Because knowledge is for the mind and experience is for the body, therefore you want to find the best possible way to balance both. Like meditation or as I have learned it to be Mental Rehearsal. Discovering inner strength PLUS outer beauty has many bennefits perhaps even life long changes too. After today's WOD you will feel free. Compare yourself and mood before you move and after. Maybe even start a journal. It doesn't take much to write “man I DON'T want to do this” before the WOD. And it doesn't take much to write “WOW I am SO glad I did Today's WOD, I feel SO much better”. Right?! Consequently you'll see a change both physically AND mentally. Not right away of course, but give it the four letter word that we ALL want more of… TIME. If you enjoyed this post about Discovering Inner Strength Plus Outer Beauty , retweet and comment below what was most noteworthy please. Thinking back to the days of college when there was a CLEAR cut of cardio and weights. Well today we will cover cardio plus fat burn. It can be both cardio AND weights. It's called HIIT (High Intensity Interval Training). That's pretty much what you have been doing since day one. I think you may have known by now that I have plenty of experience and education with exercise. 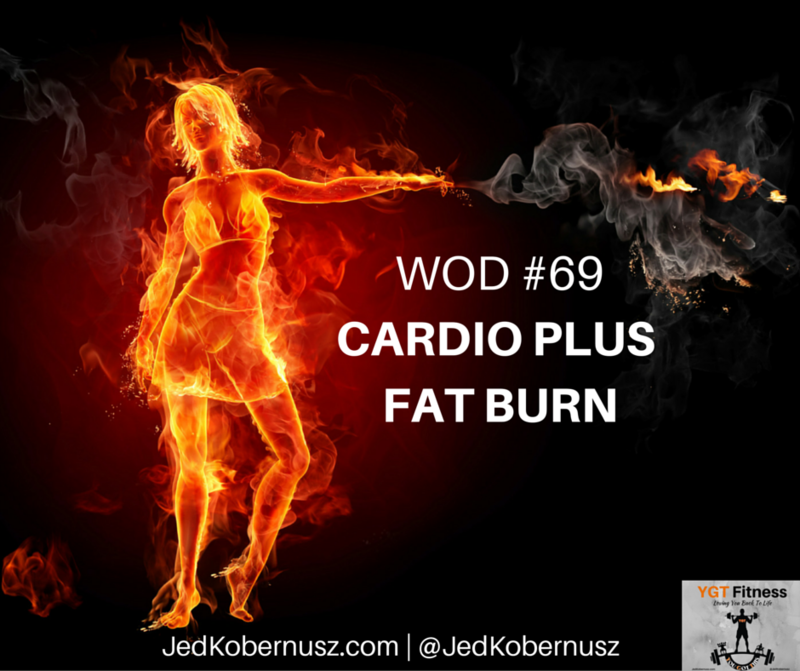 When talking about fat burn cardio exercise there are many avenues. We could talk fat burn cardio vs weights or we could talk about fat burn cardio zone. There are even fat burn heart rate calculators out there. Is that really even relevant? To put it simply, you need to use MORE oxygen. What I mean by that is get out of breath at LEAST 12 minutes a day. When you do that it helps your metabolism get into what's called EPOC (Exercise Post Oxygen Consumption) or after burn. Well today's WOD and the video below will help. Pretty much all the WODs I create will help. That is why I create them. Because time is of the essence and being efficient is VERY important. Getting the time to workout can be difficult. 12 minutes out of your day IS doable. Repeat until your time is up!! I think we all want to be a boxer at some point of our life. This is a mini boxing workout. I think there is something to be said on how freaky boxing can be for fat burn! One could call it boxercise even. So Have fun and be safe. Always let pain be your guide with any exercise. Muscle soreness is inevitable, but joint pain is not. Listen to your body. The video below will show you exactly how to do the exercises. 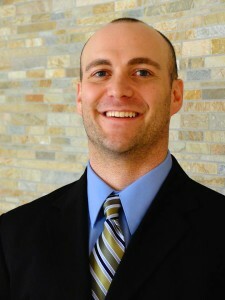 Don't forget to look for new episodes of THE Exercise Physiology Show! Click Here to see then entire playlist of episodes. 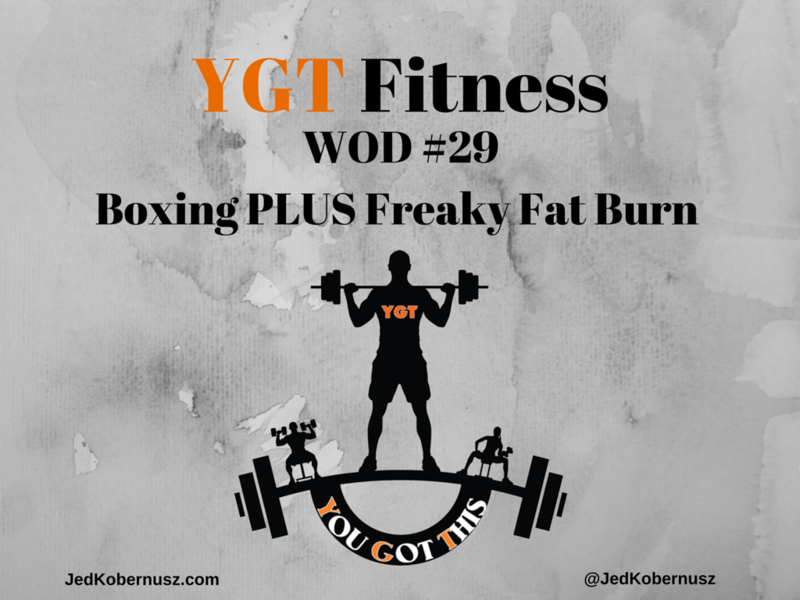 Was this post about Boxing PLUS Freaky Fat Burn helpful? Feel free to share with your friends if you got value. I would love to hear from you to know which part hit you the most. Considering Coaching? You may want to think about going HERE to find out more about how I approach weight loss that has worked Big Time! Click the pic below to look at an AMAZING community!